Maycomb, Alabama. Twenty-six-year-old Jean Louise Finch Scout returns home from New York City to visit her ageing father, Atticus. Set against the backdrop of the civil rights tensions and political turmoil that were transforming the South, Jean Louises homecoming turns bittersweet when she learns disturbing truths about her close-knit family, the town and the people dearest to her. Memories from her childhood flood back, and her values and assumptions are thrown into doubt. Featuring many of the iconic characters from To Kill a Mockingbird, Go Set a Watchman perfectly captures a young woman, and a world, in painful yet necessary transition out of the illusions of the past a journey that can be guided only by ones own conscience. 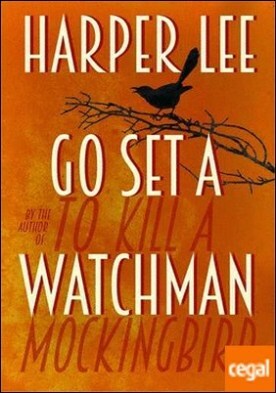 Written in the mid-1950s, Go Set a Watchman imparts a fuller, richer understanding and appreciation of Harper Lee. Here is an unforgettable novel of wisdom, humanity, passion, humour and effortless precision a profoundly affecting work of art that is both wonderfully evocative of another era and relevant to our own times. It not only confirms the enduring brilliance of To Kill a Mockingbird, but also serves as its essential companion, adding depth, context and new meaning to a classic. Harper Lee va néixer el 1926 a Monroeville (Alabama). Va estudiar a la Universitat d?Alabama i abans de començar a escriure va viure un temps a Nova York. Matar un rossinyol (1960), l?única novel·la seva coneguda fins ara, va rebre el premi Pulitzer el 1961. De la mà de Robert Mulligan se?n va fer una adaptació cinematogràfica que li va merèixer un Oscar a Gregory Peck. Cinquanta-cinc anys després de l?aparició d?aquest clàssic, Harper Lee ha decidit publicar Vés, aposta un sentinella, que Edicions 62 editarà properament en català.